What if I’m right? What if the “Pollyannas” of the world and I are right? What if you could produce more positivity in the world around you if you focused on the Good rather than the negative, mean, degrading stuff? What if? We have certainly seen time and again how one tyrannical, malicious person can tip a crowd, even a country, toward the negative side of the scale. 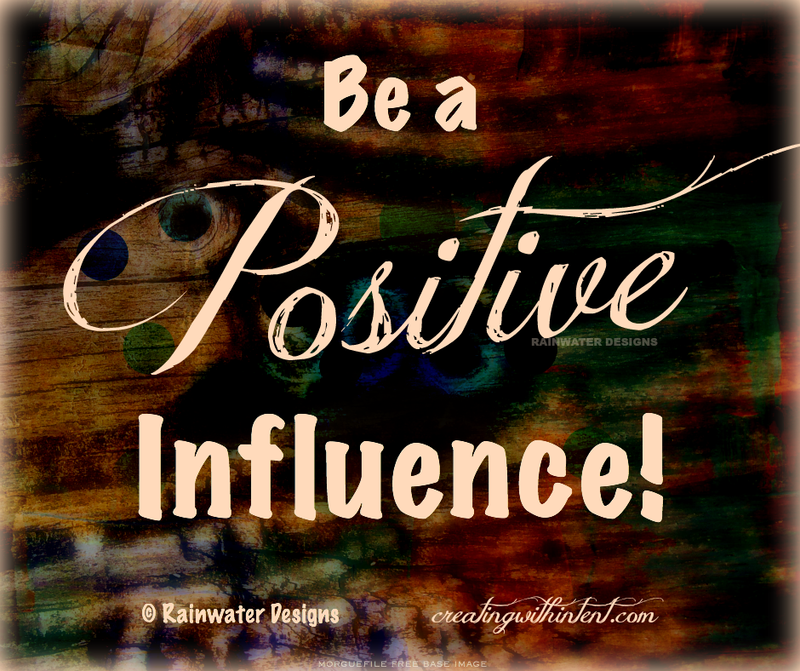 What if you could do the same with positivity? Of course and without a doubt it is just as likely possible, isn’t it? Have you tried it? Now to be sure, you must stick with it, be consistent and focused over a long period of time. Remember, what you do and say matters, always. Try it. Start small. Choose a small situation or group of people close to you. See yourself as the key to creating a positive atmosphere. Believe. Look for every single good thing and praise it, acknowledge it, talk about it with positive encouraging words, emulate it, multiply it, be it. Be persistent. Ignore the naysayers – yes, there are almost always naysayers; you will find beginning to be a Pollyanna is not for the faint of heart, but it gets easier the more you think it’s easy. Refuse to be deterred. It’s not that you are trying convince or coerce anyone – it’s really more that you are being an Influencer. It is not a competition. It’s more of a different way to see the world, a different way of “being.” Influence. So, before you bash the optimists, conscientiously try being one first. What if the optimists are right? omg. Just think what that could mean for your life, your family, your country, the world. Praise, encourage, build up, highlight, uplift the Good and Kind and Inspirational and Positive things going on around you on a consistent and persistent basis. Try it. Go for it. What if it works?! When I finished writing this, I turned the TV on and the shooting in San Bernardino was unfolding just a few hundred miles from me, here in California. As I came across the media coverage off and on this afternoon, I wondered if I should wait to do this post until another day. But … then I thought, well, what better time to talk about positivity? It isn’t as if there aren’t bad things happening. It isn’t as if there aren’t people doing atrocious things. The point is that we can instead focus on all the Good, all the good people, all the goodwill … it’s the only way to insure that the Good grows. I want and expect the Good to grow. Go about your day looking for good, for good people, for opportunities to grow the Good. You are always in my thought. Posted on December 2, 2015, in Empowerment, Encouragement and tagged #GoForIt, #positivity, influence, optimism. Bookmark the permalink. Leave a comment.